Hold on to your butts! 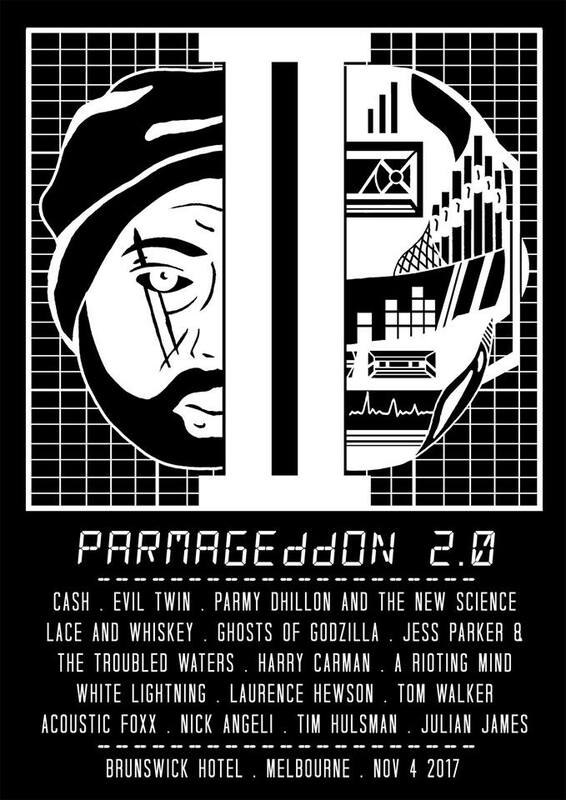 Parmy Dhillon and the New Science are presenting to the world, Parmageddon 2.0! It’s going to be a friggin’ good day and what better time to do it, than cup day weekend. So you know you have a few days to get over the hangover. There will be everything you can expect from a Parmageddon event, sun, beers, mates, bands, fun, raffles (probably), dudes (most def) and just tonnes of good times. Some of the highlights of the night are: Parmy Dhillon and the New Science have heaps of new tracks, and videos that have been released recently, so you’re going to hear some mad fresh material and it will be performed by the newly-formed New Science. And also, our literal and metaphorical brothers from Lace and Whiskey have a special tribute lined up for it! To make it even more amazing, we are teaming up with some of the most brilliant, most talented bands we know, and there will be heaps of them, so many, that we needed to get TWO STAGES! So join us, and make this the best damn Parmageddon yet, so we can start working on Parmageddon the Turd … (third in an Irish accent). Just come, you have to come FFS!